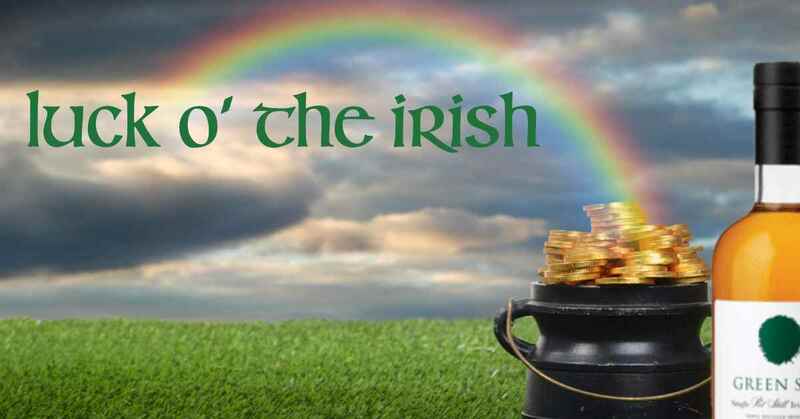 An Early Celebration: St. Patrick’s Day is Sunday, March 17th! March is the right month to explore Irish whiskey, so let’s cover the full range with 2 single malts, 2 single pot stills, 1 malt whiskey, and 1 blended whiskey. seasoned (bourbon) & sherried (oloroso sherry) from two varietals of oak (American white & Spanish red oak). The Irishman Founder’s Reserve is a hybrid based on a vatting of single pot still and single malt (no column grain whiskies). I don’t know what to call it, because this is the only such whiskey that I’m aware of. Tyrconnell Irish Single Malt is excellent and the based value on the market. It is double distillery and unpeated… just like dozens of Scotch single malts… at Cooley distillery in County Louth. Green Spot and Redbreast are 2 of the very best Irish premium whiskies. Both are single pot still whiskies (based on a ca. 50-50% malted and unmalted barley mashbill and triple distilled in copper pot stills). Our final Irish whiskey is an excellent one and is virtually unknown by American fans: Connemara. It is also Cooley distillery from a mashbill of peated (ca. 20-ppm) 100% malted barley and double distilled. This is exactly how the peated single malts of Islay are made. I like Connemara more that most of the Islay alternatives… it’s that good. Thus, our flight of Irish whiskey couldn’t be better! The only thing that we might possibly lack is the pleasure of your good company. So, do please join us as “good whisky is made great when shared among friends”.